This movement is typically utilized to position the valve as well as to open or close the valve, depending on the application. A broad range of valves that valve actuators are used for include metering valves, needle valves, globe valves, diaphragm valves, gate valves, pinch valves, and angle valves. Due to the extensive variety of valve types, valve actuators are used in diverse industries such as chemical processing, for fluid processing and flow control applications; wastewater and water treatment, for pressure regulation as well as in flood prevention equipment; industrial manufacturing, for process automation applications; petroleum, in gas transmission pipelines; and automotive, for applications such as valve positioning and actuation in camless engines. Additional industries include pharmaceutical, power generation, marine, and aerospace. Some advantages that valve actuators offer include accurate proportional control, rapid flow control, and automated valve control allowing for increased efficiency. While valve actuators can be rotary or linear, linear valve actuators are beneficial for use in applications requiring tight operational tolerances. Linear valve actuators achieve linear motion through the use of screw assemblies, the two main types of which are lead screw and ball screw. Lead screws, also referred to as power or translation screws, are threaded rods designed to translate rotational movement into linear motion. Ball screws accomplish the same linear motion, however, they offer reduced friction due to a ball that is encased within the round nut. Valve actuators can provide actuation through several different methods: manual, electric, pneumatic, hydraulic, and solenoid. Manual valve actuators can be either manual handwheel or manual level. Manual handwheel are more common, but they do not allow for automated valve operation. Electric valve actuators utilize motors, typically DC motors, in order to allow for manual, semi, and fully-automatic valve operation. 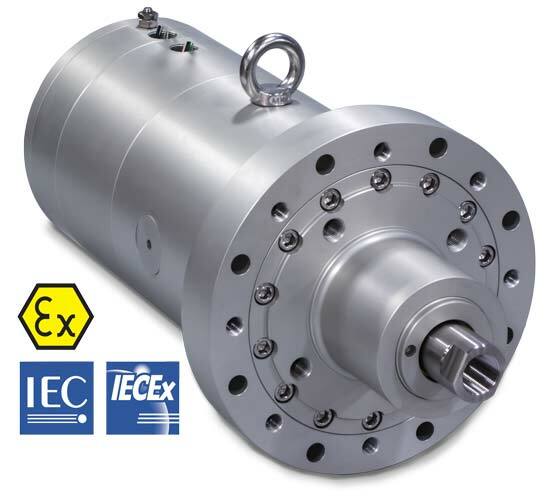 Electric actuators operate by providing mechanical force through the conversion of electrical power. Pneumatic and hydraulic valve actuators can provide semi and fully automated valve operation as well; however, pneumatic valve actuators are utilized in air pressure applications, whereas hydraulic valve actuators are utilized in water and other fluid pressure applications. Solenoid valve actuators are the most recent technology, but they are more strictly limited to simply opening and closing the valves. Valve Actuators Valve actuators are mechanisms that provide linear movement to valves through the use of various screw assemblies.